Achieve 100 per cent productivity across 6 floors of dynamic business space. No, you’re not dreaming – Spaces Farringdon truly is the ultimate business hub. 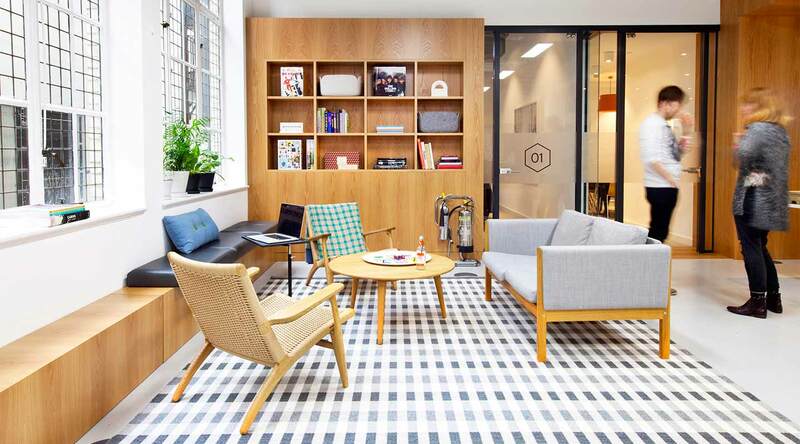 The epitome of dynamic office space in London, every element of these comfortable co-working spaces and meeting and conferences rooms is designed to spark your creativity and help you discover your next big idea. 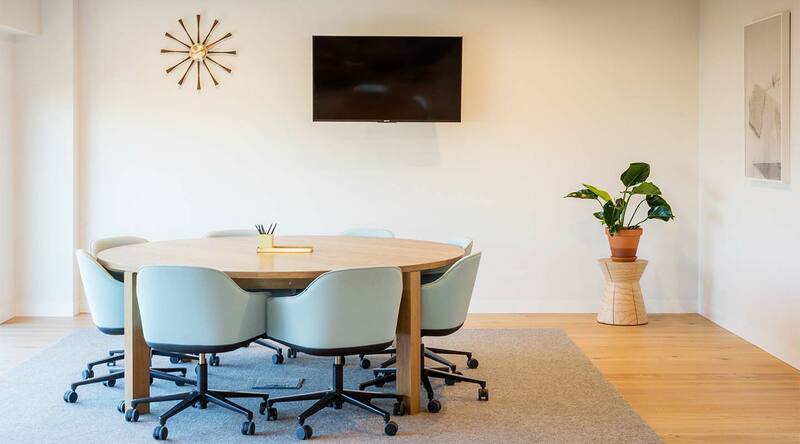 The secret of these serviced offices is their flexibility – as well as the top-quality furnishings, super-fast Wi-Fi, climate-controlled workspaces... Basically, Spaces Farringdon is fitted to accommodate your every professional need, and then some. . Fancy investigating the surrounding area? Must-visit venues include the English Touring Opera House and Museum of the Order of Saint John. Your own office space with a flexible contract. 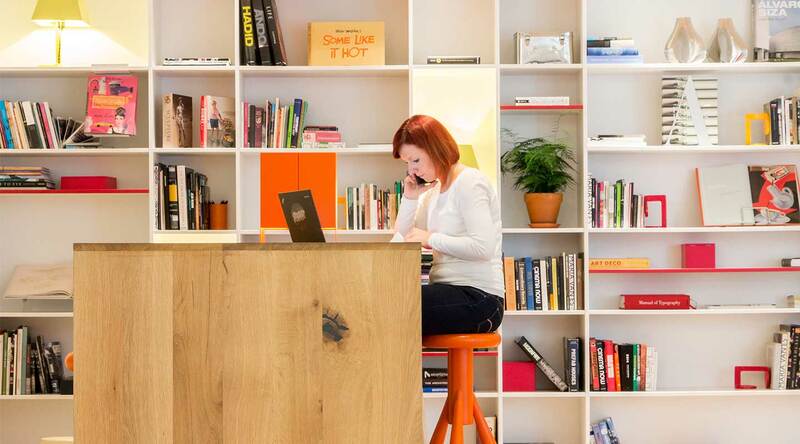 No matter if you need a small office or a big one, Spaces can provide you with a perfectly sized environment for you and your team. Set it up the way that works for you and settle in knowing you can access your secure space 24/7 – with full access to the Business Club during regular business hours. And because we know how quickly business can change, we’ll never ask you to sign your life away – our contract terms are flexible and tailored to your specific needs. 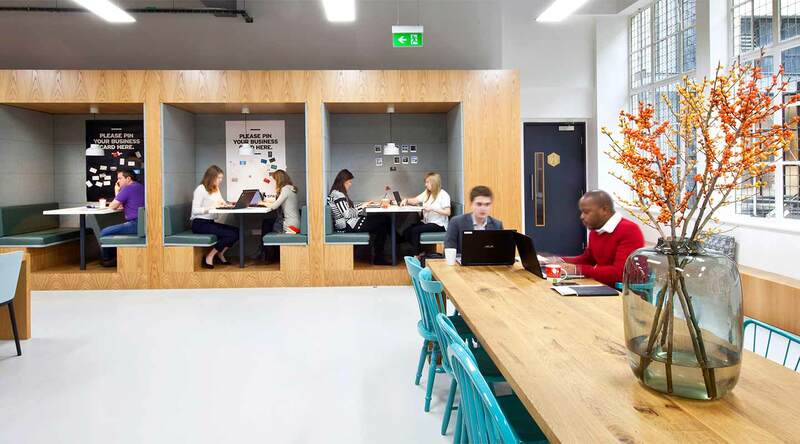 Whether you’re mind-mapping, meeting, collaborating or crunching numbers, the designer desks, tables, sofas, super-fast Wi-Fi and informal meeting areas provide the perfect place for every business need. So even if you want a quiet desk Monday to work on the details of your plan, a large table Tuesday to coordinate with your team, a lunch table Wednesday to meet a new client, and a cozy coffee corner the rest of the week to vet potential candidates — Spaces has all the spaces you’ll need, available on a full-time basis or 5 days or 10 days a month. A desk as dedicated as you are. Dream offices even if you don't like offices. 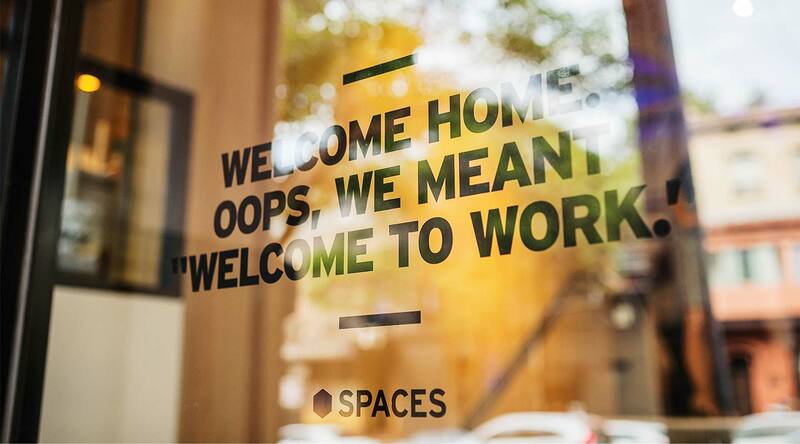 At Spaces we offer offices for companies of all sizes. Even if your company is limited to one, and when actually all you need is your own desk for your desktop computer and screen. We have the custom solution for you, something we like to call the dedicated desk. An office shared with others, with your own personal desk. It even comes with a cupboard, locker and those small little post-its we know you like. Of course, we are not forgetting internet and 24-hour access. Because we understand that some work should not be limited by business hours. Make your meeting a meeting of the minds. Everything’s ready, from super-fast Wi-Fi to stylish furniture. Not to mention a community of creative entrepreneurs who’d love to meet you. We’ll take care of the dull stuff like utilities and cleaning – all included in one simple price. Then when you want to hold a meeting, fire on some photocopies, or refuel with a cup of coffee, you simply pay as you go. So you always know where you stand. The only surprise is who’re standing next to.